This relates to a bug involving Login Slots with the vampire armor. I can't set Vampire Transformation as part of my login equipment, even though it is in my inventory. Seems to give immunity on first turn of attacks attuned to light regardless of going first or not (only tested on Essence of Light Dragon). Shield behaves normally afterwards. Type of bug (Game crash/blackscreen, glitch, graphical error, typo, etc. ): glitch? Bug details: After a cast of Werewolf subrace's skill Healing Howl if a pet or guest is up they will attack before the attack menu returns from the QC of HH. The menu will then disappear so fight can not progress. During Bug: no attack menu so the game has to be refreshed. Did you log out and log back in? Bug is repeatable with various pets or guests. Frigid Spire's description says its still discounted for a limited time despite already no longer being the case for like how many years ago. Just noticed earlier today. Darkovian bulvark DOES NOT TRIGGER on VAMPIRES. Works fine with werewolves but does not trigger on any vampire enemy. Um, will fix it tonight, midnight-ish. There is a fatal bug when you try to equip the Amish Hat while using the Midnight Savage Werewolf armor. It freezes your game on the equipment change animation and you will be stuck in the battle forever until you restart your page. I believe this bug happened to me with a few other misc items that change your head's appearance as well. EDIT: Tried it just now with the Iron Golem Helm as well. It looks like every head-transforming item causes a fatal error with this armor. 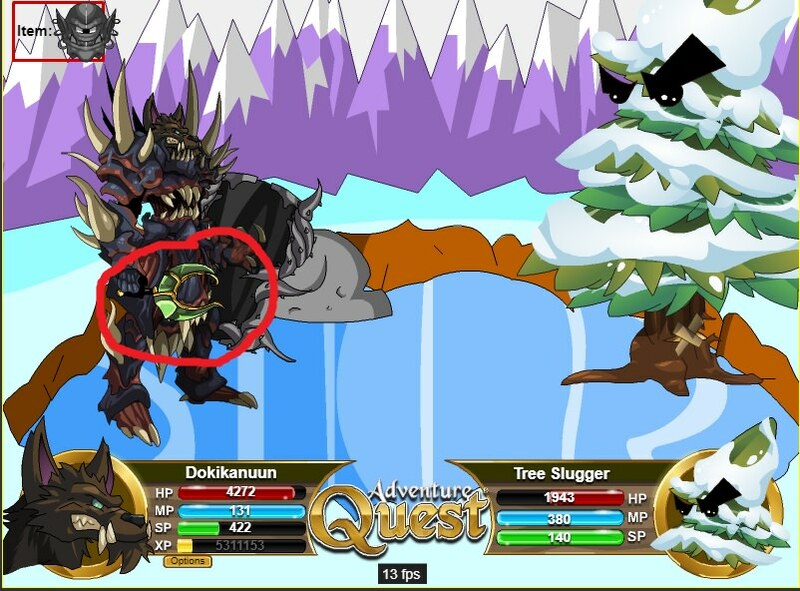 ^Confirming above for Goggernaut Helm. Yeah, MSW doesn't like you equipping helms at all. 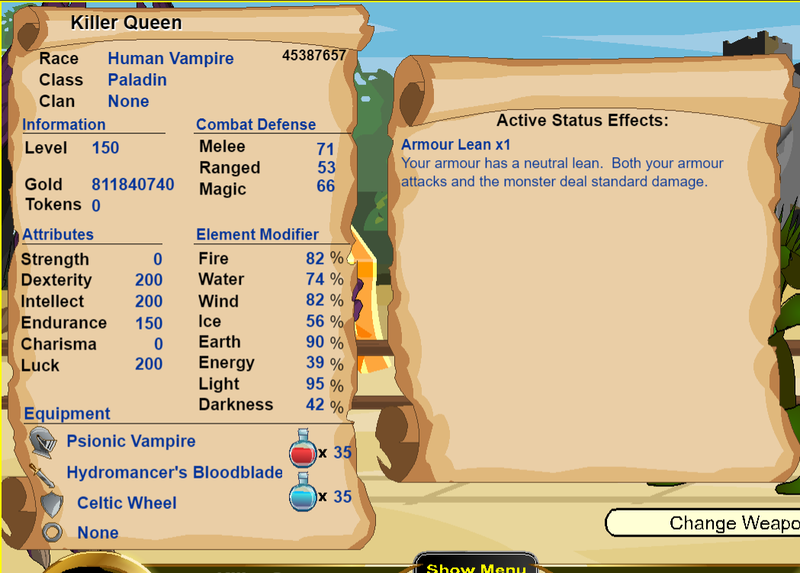 When you equip the Vampire armor at the start of the battle and it is in Vamp Beast mode, it says your armor lean is x1 rather than the x1.25 it should be if you are a Vamp Beast. Shadow Slayer shield is not triggering against Vampires. My Vamp no-drop is still level 10 even though I’m level 150 and can use all the Vamp skills. Cleared cache lots of times, didn’t work. Shadow Hatred Pyracepter doesn't change/transform form even though I have werewolf subrace. Its suppose to be Light Axe but I am getting the Fire scepter version instead. You have to click through the forms to get to the one you want, it doesn't automatically detect which subrace you are and switch accordingly. The scepter is the base form, so it starts out as that. I have tested the werepyre axe and vampire blade forms, both of them works fine with axe and sword emblems. Volt Rider is technically from an MC Set. Items from an MC Set (such as the Overlord, Twilight, Asgardian sets) can't be upgraded. Although items from the mini set from recent MC sets (such as the Scarab, Grakma, and Fish sets) can be upgraded. Changing between transformed vamp armors seems to set the lean to neutral. Not sure if it's just a visual bug or if damage values are also affected. Midnight Savage Werewolf still freezes when you equip a helm misc. I've been doing Bludrutbrawl on the Artix server exclusively as a Deathknight Lord. I've come across a bug where the mana (for no reason) just vanishes. For instance it may be at 88, and I use 'Curse of Grimskull' and then my mana goes to depletion aka a big 0! It isn't only for that skill but for all skills in the class period. Please fix it as it really does screw me over in PvP and PvE. Furthermore, just as a inquiry I hope you can increase the likelyhood of the rank 10 passive ability of Deathknight Lord. Ever since achieving the state of Rank 10 for the class, I have only noticed the activation of it once, and I have had this class ranked for a while. It's a bit ridiculous as I play PvP constantly and never notice it. Even with PvE. This forum is for bugs in AdventureQuest, not AQ Worlds. If you want to report AQW bugs, go here and select AdventureQuest Worlds as the game you want. When you equip the Lumenomancer Bloodblade while it is set to deal Magic damage the pop-up message indicating how much damage it does doesn't come up. This happens whenever you equip it while it is set to deal Magic damage, regardless of whether you previously toggled it to deal Melee damage, toggled it again to deal Magic damage and then re-equipped it while it is set to deal Magic damage or not, and it was set to deal Magic damage all along since you logged in. However, the pop-up message that indicates how much damage the blade does DOES pop up when you actually toggle it do deal Magic damage when it was previously set to Melee. And all the pop-ups that are related to the blades Melee damage work fine, too.